Let's face it, cycling is a dangerous sport, and crashes are a consequence of that. We see it all the time in grand tours: at least one of the favourites crashes and is out of the race. This is of course very unfortunate but what is even more striking is the pace at which they plan their comeback after a crash. Cycling is a tough sport and so are the riders, but really, coming back too early can have a bad consequence on your cycling position. It is important to heal and recover properly from any major (or minor) crash. This case study will show us how the body is affected by crashes and how well we can spot the bad influences of a crash on your cycling position. It would even be possible to analyse and predict when the rider is ready to return to cycling competitively, although this research has not been conducted yet. 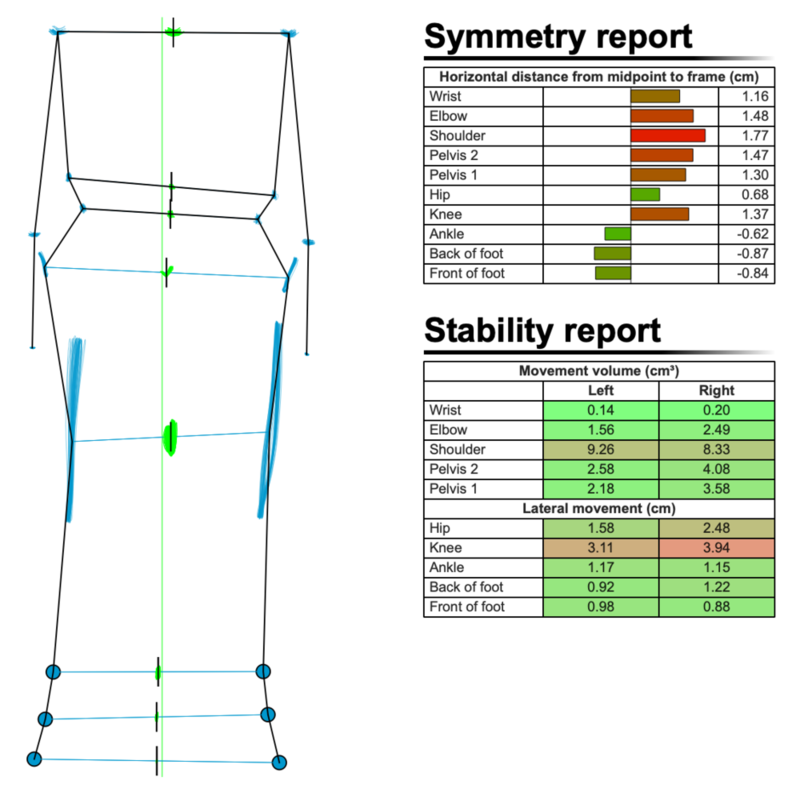 This case study is about a bikefit we conducted on a Belgian U21 rider. His first bikefit was quite a standard procedure as he was rider with very little saddle setback. This position resulted in a KOPS (Knee Over Pedal Spindle) of + 2cm. Therefore, his saddle was placed in a maximal backwards position, which results in a KOPS of exactly 0. This is something we always strive for and we will provide evidence for this method in another study. For now, it is important to note that moving the saddle in the backwards direction will also enlarge the distance from saddle to crank axis. This can be compensated by lowering the saddle. 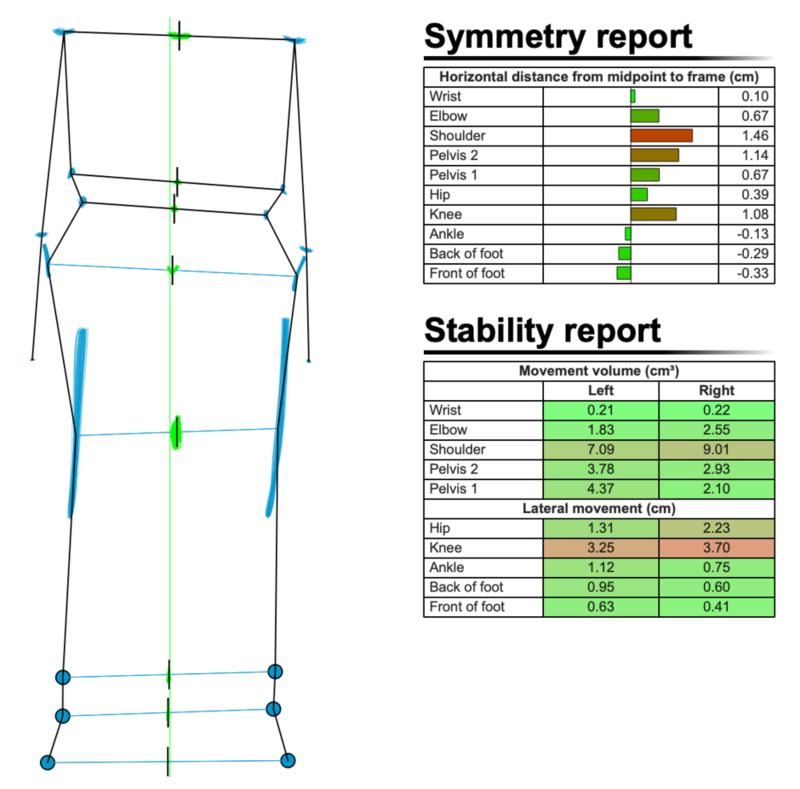 From the symmetry and stability report (Figure 2) it should be noted that this cyclist is actually very symmetrical and stable on his bike. This is probably due to a lot of core stability exercises and his dedication to also train off the bike. This was the position he rode in the next months and was successful with. 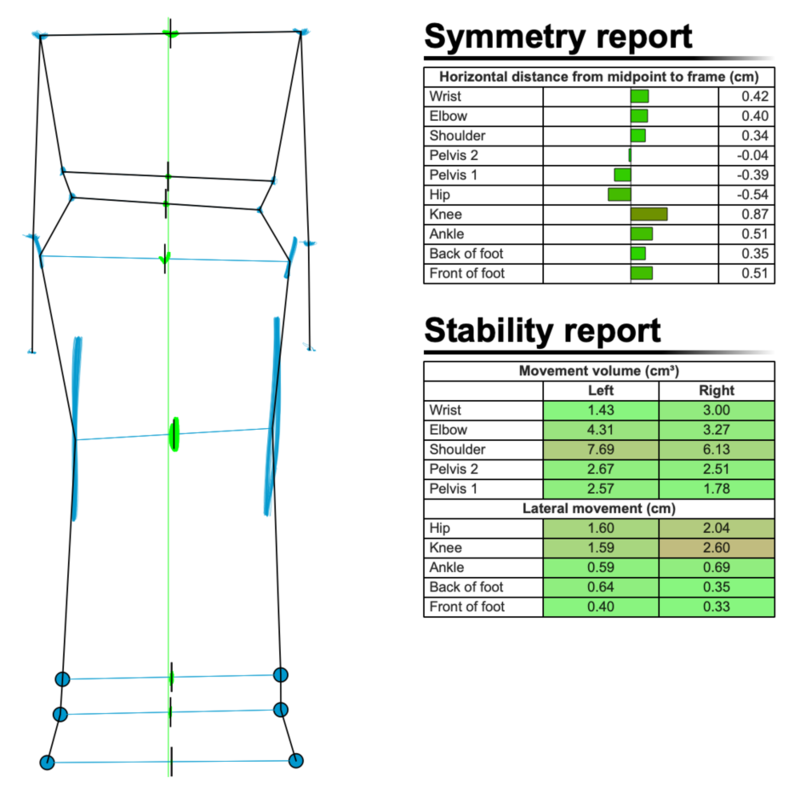 The difference in symmetry and stability with his first recording to his end position could be one of the factors that his performance increased significantly as he was cycling way more efficiently. Although, a few months later, this rider crashed… And he wasn't able to find his position on the bike again, so he came back for a new bikefit. Due to his crash his saddle was put around 7mm higher to help compensate for the lack of flexibility in the ankle. Which is quite a large difference, which is solely dependant on the crash. Another example of what the consequences of a crash can be, is the following cyclist. This cyclist comes to our speedcenter every year to conduct a bike fit with his new bike and equipment. 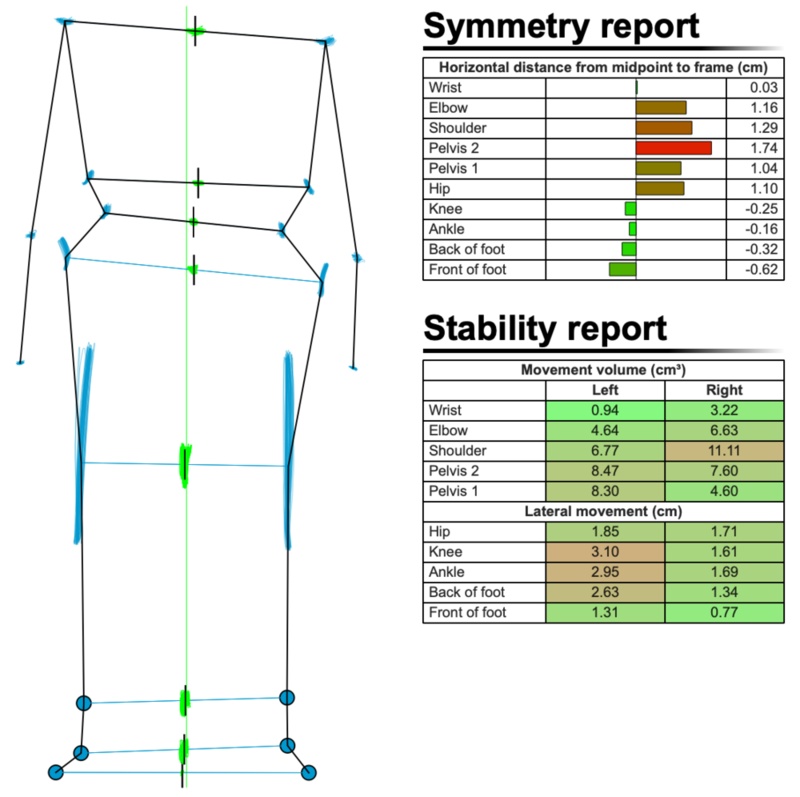 We will show a before and after of his initial bike fit to have a reference. His initial position was not far from ideal. In the end his configuration changed just a little, 5mm less saddle setback and 5mm lower. This resulted in an even better symmetry and stability report. We will not go into much detail about the bike fit. But you can imagine the knee angles being lower as both of these changes decrease the distance between saddle and crank axle. Around four months after this initial bike fit, this cyclist crashed quite heavily with a serious pelvic tilt and bruised ribs and a consequence. You will see from the report that his symmetry was a lot worse since the crash. However, his stability on the bike was still similar. This also has an influence on the pedalling technique apparently. The cyclist was already more a tipper (riding with heel up), but this was now exaggerated due to his crash. The heel up changed from +5 to +10 degrees, and there was a 7 degree difference between left and right foot. After the bike fit, his ankleing was back to his previous ankleing (before the crash). But still his symmetry is far from the initial recording. It can be that over time and extensive work with a physio, this can be restored. Certainly it will take a lot of time and effort to get back to his initial very symmetrical cycling movement, if that is ever possible. So it is clear that his pose is getting better again due to extensive work on his flexibility and core strengthening exercises. The Bioracer Motion software can be a good tool to monitor the recovery and healing process after a crash. It might be a good measure to signal when to return to cycling or hold off for a bit longer. However, this is not always possible due to the team planning or specific goals in the season for example. We should aim to monitor the cyclists more closely and give them the time they need to recover from a crash or any other injury for that matter.